A word of encouragement is indispensable at the start of a new journey, especially when the journey demands your leadership. Joshua is no longer second chair. He is no longer the backup to all-pro Moses. Now it is his turn to lead. The people he leads have only known the leadership of the incomparable Moses. How will he lead? 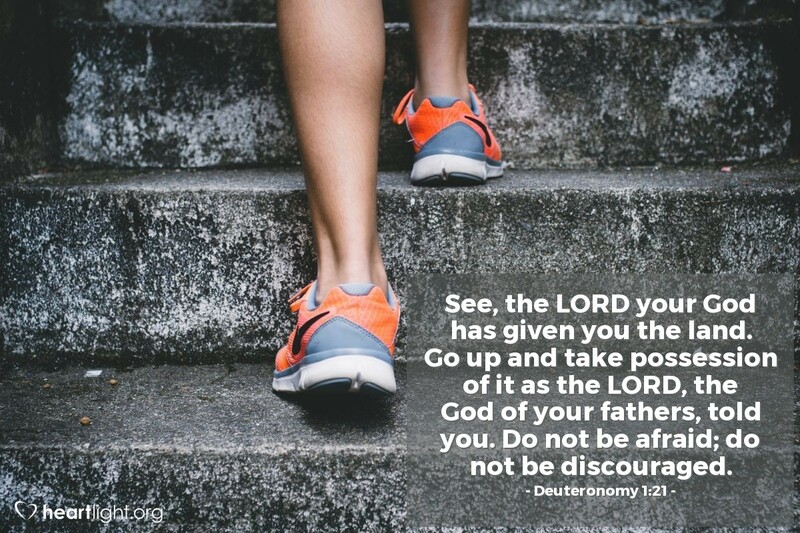 He will lead trusting the promises of God and without fear or discouragement! How is this possible? Because the real leader of God's people hasn't really changed! God is still God. His word is still true. His promises are still trustworthy. His might is still all-powerful. O God, as I face increasing responsibilities and greater challenges, remind me of your promises, allay my fears, strengthen my resolve, and lead me by your will. May the victories in which I participate always bring glory and honor to you. In the name of the Lord Jesus Christ I pray. Amen.